Ruth O’Brien, 85, recently received the second annual Pioneering Relauncher Award. 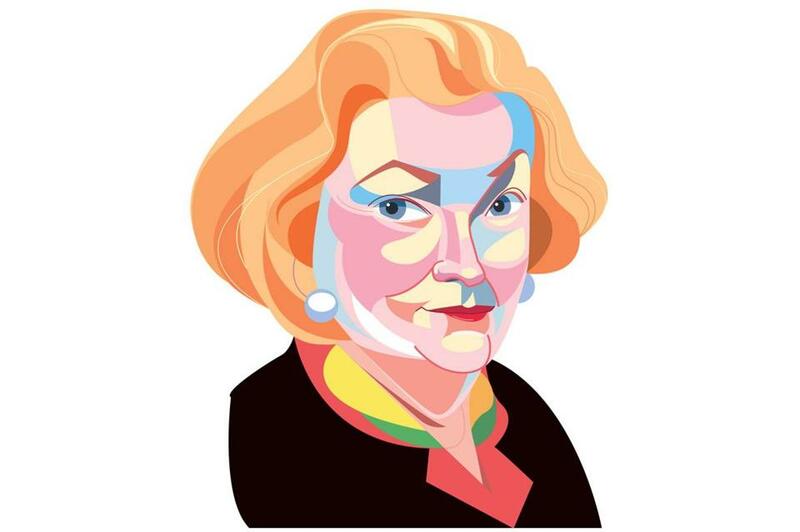 Ruth O’Brien didn’t know it at the time, but her decision to go back to work at the Boston law firm Ropes & Gray in 1971 after having five children, including future late-night TV host Conan O’Brien, made her a trailblazer. O’Brien, now 85, was recently recognized by the Boston career reentry company iRelaunch with the second annual Pioneering Relauncher Award for being a role model for professionals who take a career break. O’Brien started at Ropes & Gray shortly after graduating from Yale Law School — she was one of four women in the class of 1956 — and left in 1960 when she became pregnant with her first child. Eleven years and five children later, she returned to the firm, part time at first, in the real estate transactions department. Not long after she got back, she had a sixth child, but was asked to cut her maternity leave short, to just three weeks, because they needed her at work. The support of O’Brien’s husband, Thomas, an infectious disease doctor, was crucial — particularly his willingness to drive the carpool at a time when fathers typically didn’t do such things. But they made it work. O’Brien was named partner in 1978, the firm’s second female partner, and retired in 1996. Conan, of course, couldn’t resist cracking a few jokes at his mother’s expense. A truckload of unconscious bias is rolling into Bentley University in Waltham on Thursday, courtesy of more than 300 companies around the country. A trailer equipped with interactive tools to promote awareness of perceptions based on race, gender, religion, sexuality, age, and appearance is kicking off a college campus tour this week, sponsored by the group CEO Action for Diversity & Inclusion, to promote diversity in the business world. Visitors to the Check Your Blind Spots vehicle can take a test to identify biases they may be unaware of, and they will learn about potential employers dedicated to progressive workplaces in the process. Opening people’s eyes to their assumptions before they get into the workplace can help lead to more-inclusive corporate cultures, said Thomas Croswell, chief executive of Tufts Health Plan, who is one of at least 10 Massachusetts executives involved in the effort. Tufts Health Plan employees went through unconscious bias training themselves recently, not just to improve interactions with customers, but with each other.